If you’ve successfully jailbroken your iPhone or iPad, thus freeing from Apple’s encrusted grip, then you’re one step ahead to enjoying​ an intense customization. Assuming you’re​ new to iOS and perhaps loves to tinker with your iDevice, then changing the look and feel of your iPhone or iPad will certainly require a colossal number of special tweaks. One of the major ways​ to customize your iOS is to install the popular cydia app which gives​ its users access to manage everything on their iOS. Also Read: How To Enable Split View and Slide Over Multitasking On iPhone. Cydia as we all know, is basically just like the apple store, but this time around it’s meant only for jailbroken device. The cydia store is filled with alot of jailbreak tweaks that can possibly help you to customize and enhance the functionality of your iPhone or iPad. Cydia repositories contains a huge catalogue of tweaks that may seem difficult to choose from considering the compatibility issues​. Hence we geeks over here at techviola have decided to unveil the best cydia tweaks for iOS 10 to customize your iPhone and iPad. Activitor is doubtlessly one of the best and most used cydia tweaks ever seen. Offering a bunch of plethora features that comes in handy for the management of your iOS, it is basically the backbone of other useful cydia tweaks. Activitor brings slew of options for centralized gestures, button and shortcut that’ll enable you to do​ just about anything and even set up custom gestures that can be used to launch apps. Many iOS 10 jailbreak tweaks rely mostly on activitor in other to function properly. Hence it’s a powerful tweak that you must take advantage of. If you’re looking for a way to apply a unique and perhaps an appealing fade effect to your iOS lock screen notifications, then defluxit can do the work accurately. The tweak allows incoming notifications to fade away once they’re received on your device. Defluxit also brings cool options you can configure from the settings menu. Once enabled you’ll be able to change the fade percentage by dragging the two slider and there’s also a button for respringing your device. If you’re a fan of fading notification, then you’ll love this tweak. Springtomize is yet another essential cydia tweak that offers a lot of features, typically like all-in-one. The tweak brings over 100 different options that allows you to have full control over how your iOS behaves or looks. Springtomize unveils an awesomely improved user experience, giving you the opportunity to set up a lock and scroll animation effects . You can change the size of the icons​ on your homescreen and even hide the dock on your iOS without respringing your device since every aspect of springtomize’s customization is applied in real time. It’s really one of a kind. HideMeX allows you to experience extreme iOS customization like never before. Similar to springtomize, hidemex offers a slew ton of options that allows you to customize the look, feel, behaviour and every aspect of your iOS device. Hence you can use hidemex to hide icon lables, and even change the lock screen clock text sizes. Truthfully, HideMeX gives your iOS device a complete makeover as you can also give blurs to your own color tint and even replace blur styles. Simply get hold of the tweak, then head over to Settings and configure some options. Onion is one of the best cydia tweaks that is compatible with iOS 10. It simplifies your iDevice control center, thus giving it a cool, simpler, minimalist and sleeker look. Onion basically removes a layer off your device’s​ control center to give the entire look a nice translucent blur. 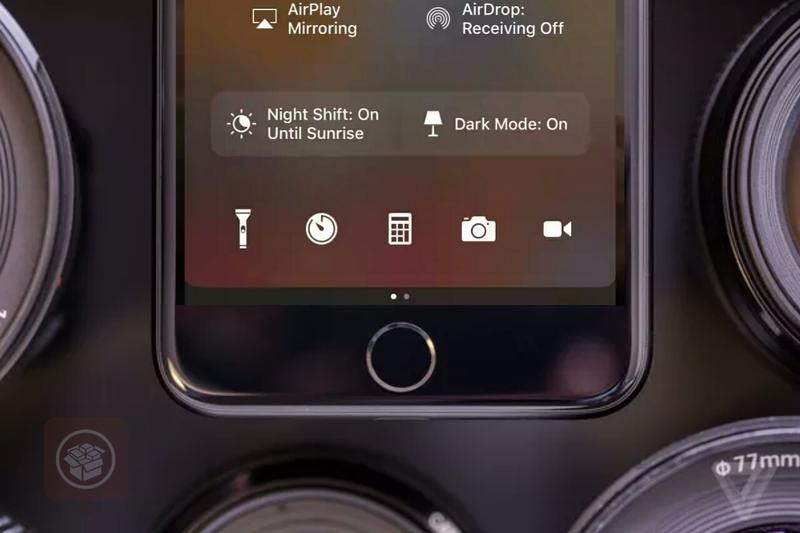 Hence onion increase the level of transparency on your iOS control center and by so doing, it gets rid off all the unnecessary dark mode rocking on the control center. Onion doesn’t bring any options to configure, once you install it, changes will take effect immediately. Cydia is the best alternative to Apple iTunes Store, it offers a lot of handy tweaks that’ll help you to customize every aspect of your iDevice. We’ve listed the best among the best of numerous cydia tweaks, but trust me the lists are endless. Cydia bigBoss repository contains alot of tweaks you can install, all you need to do is, jailbreak your iOS, install the famous cydia app and unleash your iOS potential with numerous tweaks you can lay your hands on.